Nicola Casetta is an electronic musician whose current work is split into three avenues: CONTEXT-SPECIFIC MUSIC, concerned phonography, in situ installation and sound mapping; STUDIO MUSIC, largely concerned with transformation of mostly acoustic and electronic materials via Musique Concrete techniques; LIVE ELECTRONICS MUSIC, largely improvised and/or performed in loose, with a custom modular laptop instrument based on live sampling. 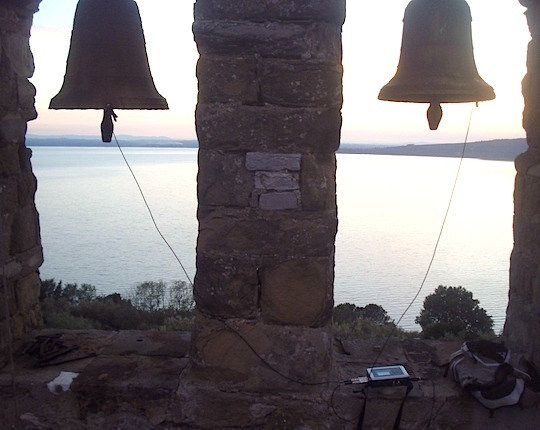 The last few years Nicola has been performing live electronic music devoted to site-specific compositions in which he uses field recordings and sound synthesis. His musical research is directed to explore a possible link between natural, instrumental and electroacoustic sounds and the interdependent relationship with the place in which they are performed/heard.